WordPress is all about plugins and themes. These extensions create possibilities that the platform alone can't provide. Think of WooCommerce, which turns a standard website into an online store. That's "just" a plugin! There's no shortage of examples in the world of themes as well: think of Avada, one of the most - if not the most - famous premium WordPress theme. It comes with a plethora of functionality that can provide you with hundreds of different combinations to address a wide spectrum of needs. From a business perspective, a challenge you might be facing - or have already faced - is finding a plugin or theme specialist. But how are WordPress specialists different from "standard" WordPress developers? If applying this to WordPress developers, you'll see a specialist as a WordPress developer who has extensive experience and thorough knowledge in a very specific area or scope. On the other hand, a generalist is a WordPress developer who's experienced in a broader scope of work yet is lacking that extreme in-depth knowledge that generates from a narrower scope. A WordPress plugin or theme specialist is a professional who knows all the knicks and knacks around a plugin or theme. They know all the best practices of how to update, extend, and customize such components more than anyone else. Because of their distinct expertise, they're able to identify issues or anticipate them in a shorter time. The number beside each item shows how many WordPress developers are specialists on that product. The list is not exhaustive of all the different specialists and area of specialization you could find on Codeable. But that's another aspect, which isn't important for the topic we're discussing. How do you find a theme or plugin specialist out of the many developers "out there in the world"? 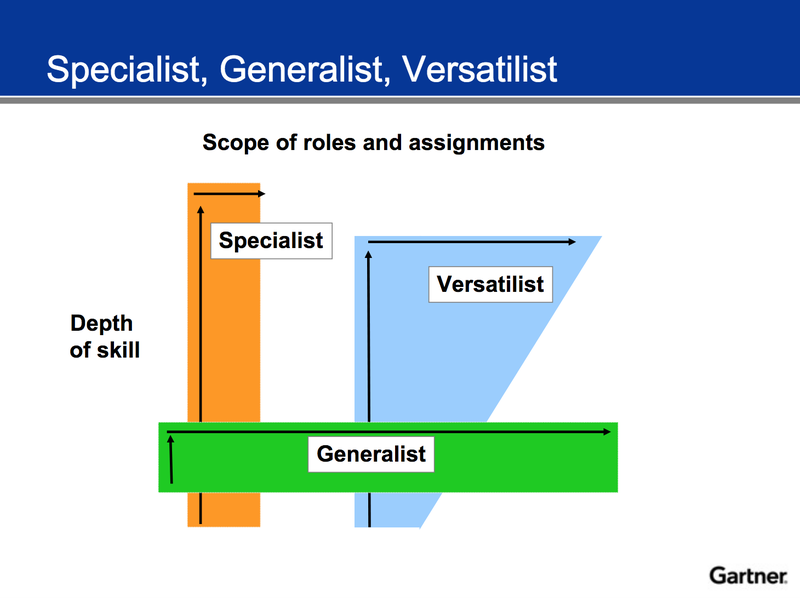 If you're looking for a specialist, you need to be sure they're not just selling themselves as "specialists", rather you have to collect proof about their specialist status. Because anyone can say they're a developer online. But you can't have your business rely on that uncertainty so here are some of the ways to garner proof of a developer's experience, not matter whether you have a technical background. Let's use Divi as the object of our research. You might be wondering that this is one of the most general solutions anyone can ever give in this regard but hang on a second. The real investigation is a little complex. With plugins and themes, the most vital element to check a developer's experience is to look at their portfolio. Did they showcase a list of past clients using Divi? Did they build a child theme for Divi? Did they build a plugin for Divi? This is a test of the actual understanding that the developer has about the specialization that they claim to be proficient with. Any developer can read documentation. Any developer can deliver minor edits to a theme or plugin. But to really understand the core functionality of the theme or plugin, and to build a product for that theme/plugin, which is what a specialist should provide, the developer needs to go deeper than that. 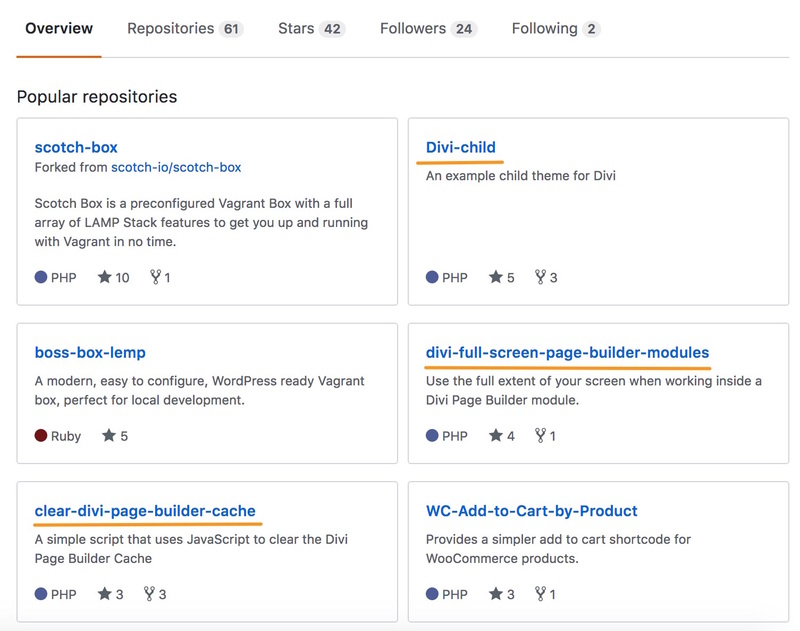 When you find a developer who's built plugins to extend some of the core functionalities of Divi, or a Divi child theme, it means they've dug into the code quite deeply and understand on a very deep level how all fits together. It might be the case that a portfolio isn't up-to-date, though. That shouldn't discourage you, as there are many other ways to continue with your research. A code repository, usually known as "code repo", is a window on a developer's work. These repos are pages where developers can host their code either publicly or privately. In the example here, you'll notice how the developer has developed both Divi child theme and plugins. If you have the required technical background, you could even look at their code quality and grasp a better understanding of their work. If you're lacking that technical background, you could have another developer do a code review and report to you. When you are on that profile page, you have the opportunity to further understand who your developer is by reading their bio and seeing how they've contributed in any way to the WordPress community. Specifically, you're able to see which plugins they've released on the WordPress repository. Even though such information might not be related directly to your research, it sure is a great way to understand how active and engaged the developer is as a WordPress professional. Another powerful tool you have in your hands to assess how a developer is specialized in a theme or plugin, it's client reviews. Reading through them doesn't only give you an overview on how happy (or not) previous clients are but also provides you with insights on a specific plugin or theme. Client reviews are a very good starting point, but if you want to know more about the developer you're considering working with, there's an effective way to really take your research to the next level. This Google operator searches for results that have both words/phrases in quotes but only in the body of the page. This Google operator searches only in the page's title for both words/phrases in quotes. This will return only results related to both X and Y. The developer I'm considering has products built on the plugin/theme I started my research for (in this example is Divi). Other developers refer to him for his work and knowledge around Divi. That means he's a subject matter expert within the Divi universe... Bingo! Do you need to go through all these steps every time? These steps have to be used as additional tools you might want to leverage when engaging, or even before that, with a new developer who states they're specialists of that plugin, theme, aspect of WordPress, framework. It should be said that the quality of the outsourcing platform through which you'll be looking for WordPress developers and specialists plays a key role in the success of your research. If you don't want to go through all the research process each time you need a theme or plugin specialist, there's a convenient way to save you time without compromising on quality and still getting the WordPress specialist you need. You should take advantage of platforms such as Codeable where all developers go through a thorough vetting process and scrutiny phase and when they're no longer able to provide quality work, they get kicked out. If you want to know more, download "The Quality Promise". With the online world, anyone can say they've extensive experience with this or that and are WordPress specialists. Proving they actually are, though, is a different story. You should stay away from these self-proclaimed specialists - you have the right tools now - and look for real professionals, with a proven track of their work and their specialized skill set. A WordPress specialist turns their deep experience and subject matter knowledge into value for their client's business. Not theirs. This blog post features Jonathan Bossenger, a freelance web consultant, developer, writer and podcaster. He is a big supporter of open source software due to its ability to change the world around it. For the past 13 years, he has gathered expertise in all facets of the software development lifecycle, from devops to project management, and everything in between. I truly like your written work style, incredible data, thank you for posting. this article is going to help out to new startups like- mobile app development companies, web application development companies, and new bloggers also.